Also, back when I was at UC Berkeley, I would occasionally have classes that took me past a statue of a smilodon. And call it a self-imposed superstition if you will, but every single time I passed by it, I would give it a high five. And I graduated from that school with high honors. 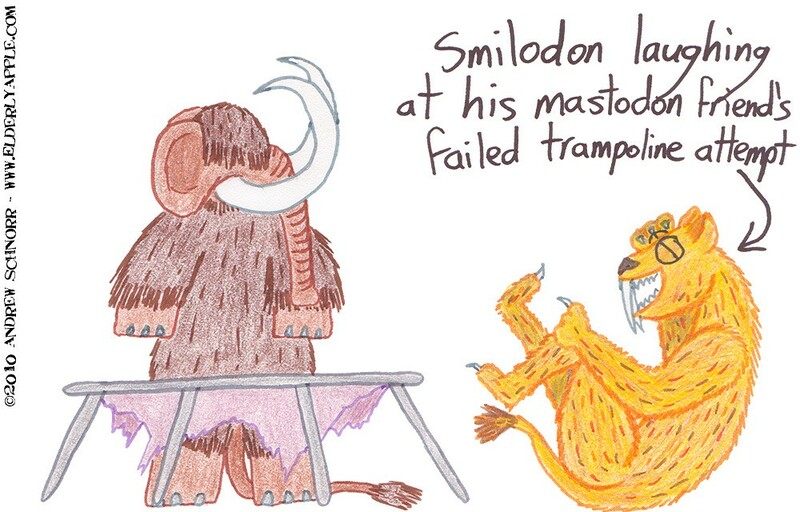 And thus started the storried rivalry of smilodons and mastodons. hey, i know that statue! i scared my kid nephew with it when he visited the school. good times!